Windows Server 2012 R2 Build 9600 provides a reliable server foundation which is cost effective and provide more control over the system. This free download is the standalone ISO image of Windows Server 2012 R2 for x64 architecture. If you are handling a business, Windows Server 2012 R2 is there to provide reliable services to deploy websites and handle a huge amount of data with maximum control for system administrators. It is focussed to provide ultimate performance when using cloud computing. This is the server edition of Windows 8 so it is also known as Server 8. It has the Metro-based approach similar to Windows 8. 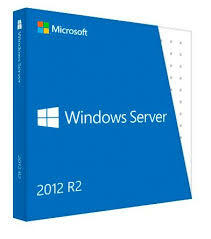 There are three major releases of Windows Server 2012 i.e. DataCenter for high virtualization, Standard Edition for minimum virtualization and Essentials for small business with not more than 25 employees. It has enhanced many features ofmServer 2008 which include IP management, enhanced task manager, ReFS File System. Moreover, it has also updated Hyper-V along with virtualization technology. It provides two installation modes including GUI and Core. In case you are good at operating command-line interface, you must then choose the Core. ReFS file system is provided as the latest version of NTFS. It is the most amazing Server until now. 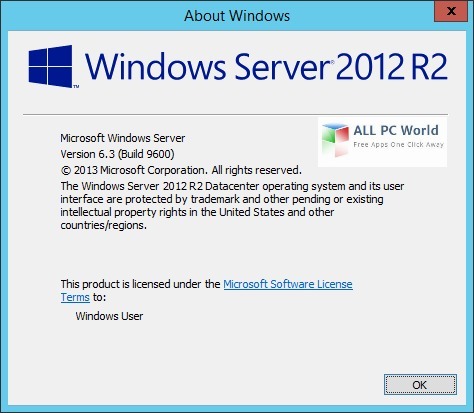 Click the below link to download the standalone ISO image of Windows Server 2012 R2 Build 9600. It is the Windows 8 siblings with many advancements and new features.